Some variables in MicroStation can change both the settings and the look of the program while enhancing your productivity. 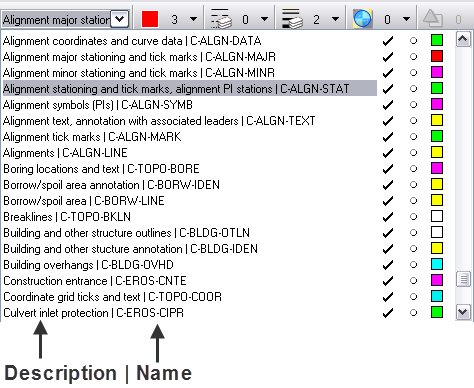 This blog post is a continuation of our last blog “Top 10 MicroStation Variables to define standards”. To learn more about MicroStation variables and their effect on MicroStation consider taking our MicroStation CAD Manager class. Allows users control when using Design History. You must close and restart for this change to take effect. By default, Design History can be initialized by any user on any file at any time. If you have a few files that prompt you to commit your changes when exiting, design history has been activated. If your organization is not using Design History, you may wish to disable it for all users. Level Display Format Specifies the formatting used when level lists display. This is also incorporated in PDF plots. If set to N, the default, the level name is used. If D, the level description is used; if C, the level code or number is used. More than one value can be specified using a deliminator. Depending on how your level names are setup, sorting them differently in the attributes toolbar may help you find them more quickly. Sets the width, in pixels, of the level picker in the Attributes toolbox. Change the length of the field displayed in the attributes toolbox allowing you to see the entire level name. Specifies file compression options. 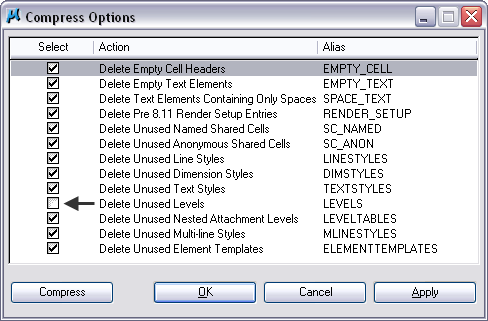 The specified options override the selections in the Compress Options dialog box. To turn an item on, precede the alias with a +. To turn an item off, precede the alias with a -. “Full Path in Title Bar” If set, the full file specification of the open file, including path, is displayed in the MicroStation application window title bar. This variable prevents you from saving the full path of reference files. It will remove the Save Relative Path tick box from the attach reference dialogue so that it can never be used. If you are going to be using this variable you should be familiar with the variable MS_RFDIR. What variables do you define to improve your everyday use of MicroStation? Let us know by commenting below. One command I use often by typing in the key-in box is change dimension extension. This will turn off or on the extension line at whichever end of the dimension you pick. Sometines this is needed when one end of the dimension is actually pointing to a CL and you don’t want to cover up that CL linestyle with a continuos linestyle.